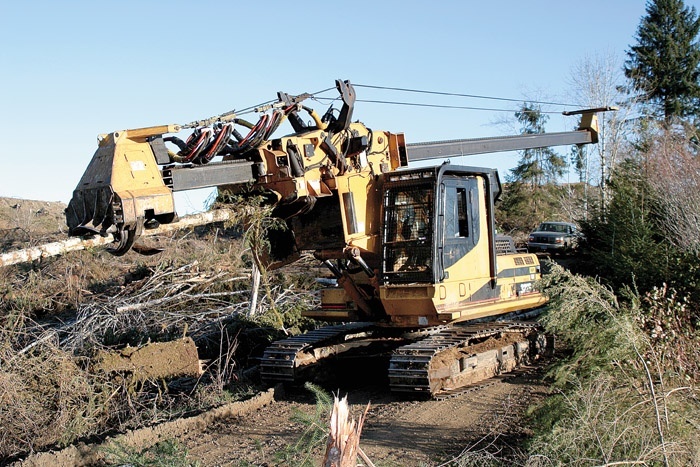 Timber Harvesting’s November/December issue spotlights South Carolina logger Chip O’Neal, whose switch to a cut-to-length system has proven to be profitable, as landowners are lining up for his gentler harvesting service. Also featured are the specialized trucking company Harvest Haul, Inc., who reaches out to Mississippi-Louisiana loggers, and Oregon’s Tracy Brostrom, who takes care of business in the state’s central Coast Range. One article provides a grinder-chipper review, while another gives a product profile on Tigercat’s skidders. It’s the same story wherever you go. 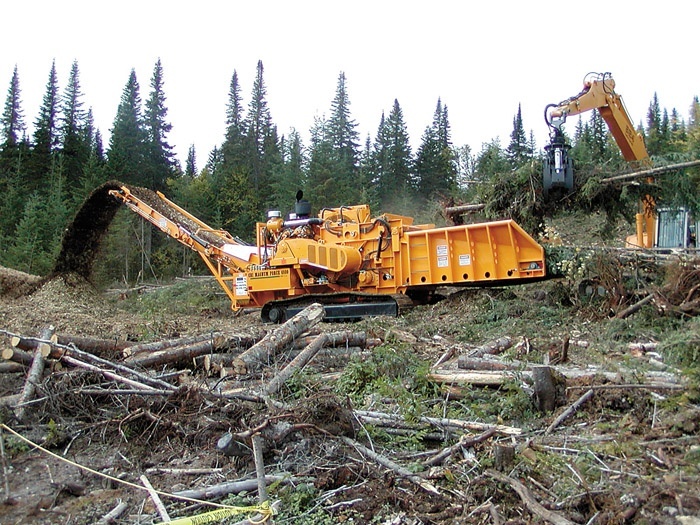 Getting logs from stump-to-mill is an ongoing pain for most loggers. Whether a logger operates his own trucks, contracts with independent haulers or tries a mix of both, most roads often lead to a dead end, especially with record high costs, growing regulations, unreliable contract truckers and multiple driver issues. Following a self-prescribed layoff from working as a logging contractor, Tracy Brostrom, owner of Julius, Inc. and current Associated Oregon Loggers President, is back plying his trade in western Oregon. Continental Biomass Industries (CBI) has introduced the newest in its line of Magnum Force grinders, the 6800T. CBI contends it is the first track grinder ever made that can grind wood as fast as a 30 inch chipper can chip, and with hammer tips that can last up to 20 times longer than a comparable chipper. 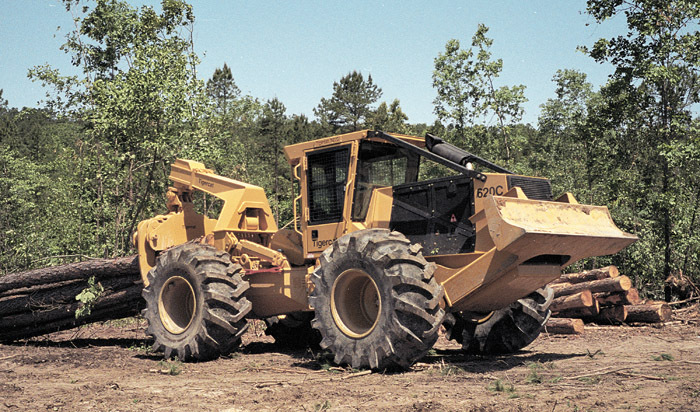 Tigercat Industries continues to develop a wide range of innovative skidders. Its overall strategy in skidder design and manufacture is to maximize load size, up-time and useful life in order to provide the lowest cost-per-ton solutions. In the few short weeks following the Hurricane Katrina disaster along the Gulf Coast shoreline which impacted Louisiana, Mississippi and Alabama, professional timber harvesters gathered in Ocean Shores, Washington and discussed their roles in aiding the recovery and restoration projects following such natural disasters. 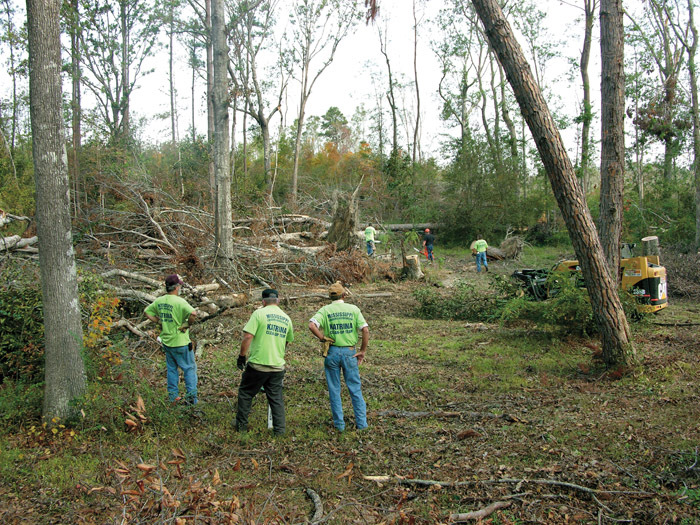 In coordination with the Jones County Board of Supervisors November 4-6, more than 30 Mississippi logging companies donated their time and money to help county residents clean up damage inflicted by Hurricane Katrina. Using equipment provided in part by Mississippi State University (MSU), about 150 people participated. Weyerhaeuser’s dispatch office in McComb, Miss. 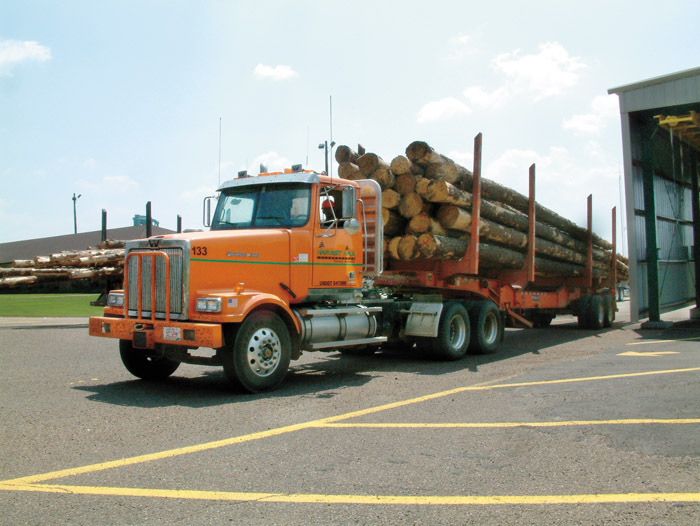 is a hub of activity as two employees route and re-route 51 log truck drivers delivering raw material to Weyerhaeuser facilities in the Mississippi/Louisiana Timberlands Region of the Southern District. Logging, like any other profession, community, or organization, has a sector that is less than honorable. We saw a good example of this when, after Katrina, New Orleans was under siege by thugs and hoodlums. While it doesn’t compare with what the nation viewed on CNN, there is a dark element in the timber community as well. 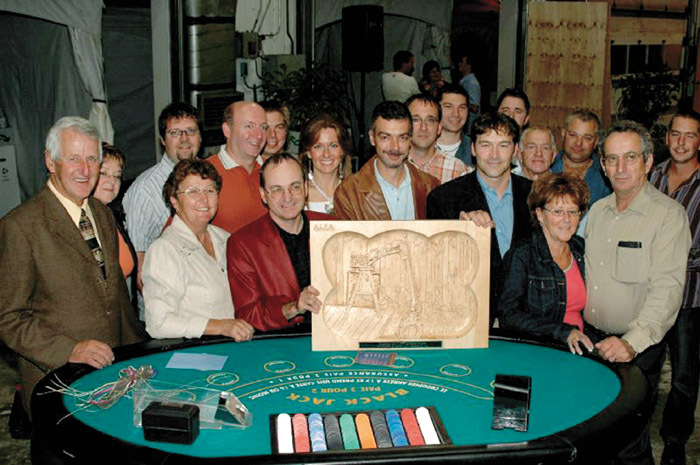 Officials of Rotobec, Inc., headquartered at Ste. Justine, Quebec, pause during a recent festive weekend that marked its 30th anniversary. On September 16, 350 customers and suppliers attended the party, which resumed the next day for the benefit of some 420 employees and their families. Hultdins introduces ECO-Wheel Tracks. 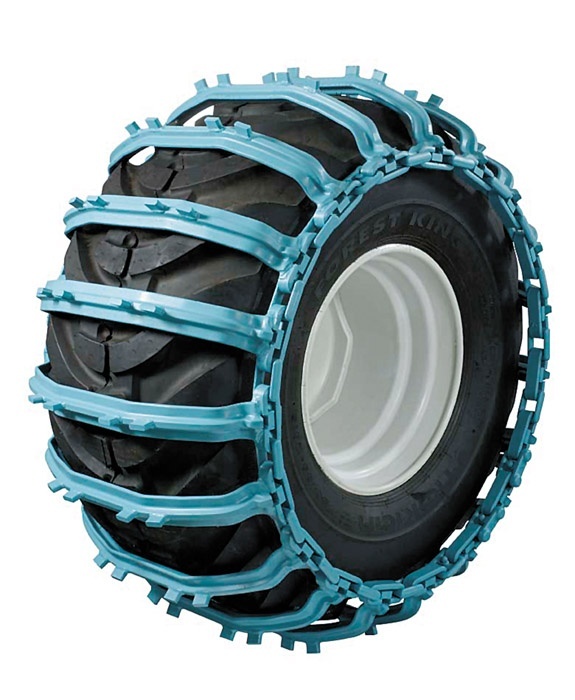 These tracks, created for use with CTL equipment, provide a wider footprint, lower ground pressure, and improved flotation with less ground disturbance from standard tires and sustain longer operating periods in wet conditions. 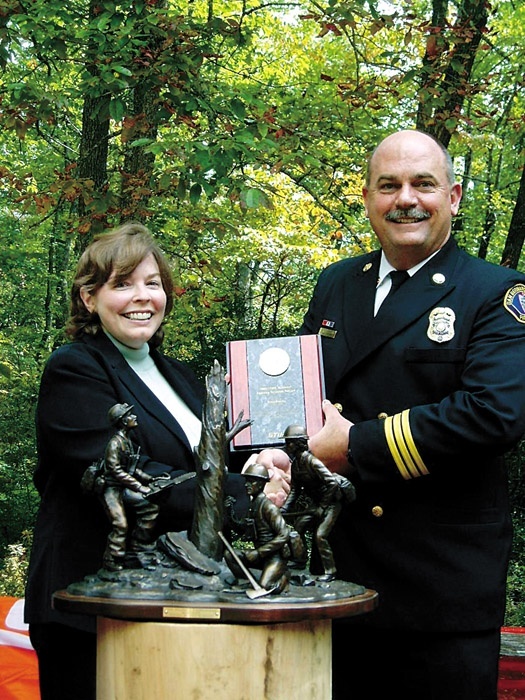 Stihl Inc. presented its 2005 National Forestry Heroism Award to San Ber-nardino County, Calif. Fire Marshal Peter Brierty during a ceremony in Brevard, NC. San Bernardino County, a vast area wedged between Los Angeles and Nevada, has been at risk to catastrophic blazes because of overstocked forest conditions, bark beetle infestation and drought.